President Gordon Lee called the meeting to order at 10:00 a.m. Minutes reviewed from previous meetings which were approved. Treasurer’s Report was given by Nancy Eckstein. Manager’s Report was given by Layne Varney. 1) Going Green Committee – Shirley Clark reported next meeting is October 5, 2017, at 2:00 p.m.
2) Rules Committee – Don Calvert reported discussion held on Pickleball 2017 charter and rules, activity fees for non-residents, indoor facility usage by non-residents, changes to the rules book, open house signage, Wanda Gastineau gave a presentation on activities. 3) Projects Review Committee – Delores Brown-Knoeppel reported committee met on September 7, 2017; discussion held on kitchen remodel; parking pad at Riggs Road gate; plaque for veterans; bar area; shade at Sunrise Court; waterfall at pool; elevator system cooling; emergency lighting and stairwell lighting; emergency procedures; patio wall. Decided that a fire pit is not feasible. Next meeting is Wednesday, October 11, 2017. 4) ACC Committee – Pat McGonegle reported committee met on September 13, 2017; starting in October, committee will meet twice a month; 30+ permits were issued in September. Amendment to guidelines to be discussed. 5) Marketing Committee – Chuck Warren reported there have been two New Homeowners Breakfasts to date, and another breakfast will be held on October 30, 2017. 6) Finance Committee – Nancy Eckstein reported committee met on September 5, 2017; reviewed and discussed, HOA statements and delinquencies; home sales; 2018 budget recommended for approval; landscape area work to be completed; Cyber insurance approved by the HOA; treasurer reviews bank statements and reports. Next meeting of the committee will be October 3, 2017. 7) HOA/Golf Club Committee – Gordon Lee reported that no meeting was held. Rules Compliance Committee studying non-resident club membership restrictions, confusion between the Pickleball Club and the Tennis Club, non-resident identification cards. This item was tabled until a later date for further study. Rules Compliance Committee recommend some minor revisions for the Rules and Regulation book concerning administration of matters and a revised dance attendance policy. Donald Calvert made a motion to approve the Rules and Regulations revisions presented. Motion passed. Food & Beverage Committee report by Nancy Eckstein and Gordon Lee. Three hundred people attended the Restaurant Grand Opening. Food service is a focus, and a signature dish and drink are in the works. Regarding the Food and Beverage Policy, Maricopa County representative will be at a Special Board meeting on October 12, 2017, at noon. There will be a question/answer time regarding the Food and Beverage Policy. Architectural Control Committee recommended revising guidelines for sunshades. Motion: Pat McGonegle made a motion to approve the guidelines as presented for clarification of sunshades. Motion passed. 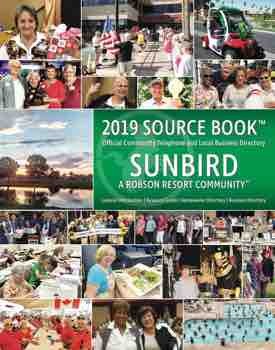 Short-term SunBird rental home restrictions was discussed due to comments made by homeowners. This item was tabled until a later date for further study. 2018 Draft Budget presentation was made by Layne Varney. Discussion of budget and funding of clubhouse room expansion between the Hopi and Pima Rooms. Budget to be reviewed and ready for final approval at the October Business meeting. Chuck Warren made a motion to release $15,000 from the Contingency Fund for clubhouse room expansion to allow payment needed for engineer to develop construction/engineering plans to be paid back as soon as possible from monies received from HOA home sales. Motion passed. Board of Director reviewed annual goals status and to be ready for final report at the December Board meeting. Chuck Warren made a motion that, per the Bylaws of SunBird Golf Resort Homeowners Association, Inc., the Board of Directors obtain a “seal” for the Corporation which shall bear the name of the Corporation, the word “Arizona,” the word “nonprofit,” the year of incorporation and such other matters as the Board of Directors may elect. Motion passed. Nancy Eckstein made a motion to add to the Bylaws of SunBird Golf Resort Homeowners Association, Inc., Article II, Section 6. Order of Business for the Annual Meeting to include “Audit Report.” Motion passed. Next Board meetings will be an Agenda Planning meeting on Monday, November 13, at 10:00 a.m. and a Business meeting on Monday, November 27, at 10:00 a.m. All are welcome to attend!